The Last Maopo tells the story of Wiremu Maopo, who joined the second Maori Contingent and fought in the First World War. Wiremu wrote regularly to his friend Virgie, and the story of Wiremu’s life is woven around 40 letters that he penned during the War. All of Wiremu’s siblings died of illness either in childhood or later in life and when he returned from the war, he was the only surviving member of a once large family. Wiremu was unaware during and after the war that his girlfriend Phoebe had given birth to a daughter who would carry on his line. 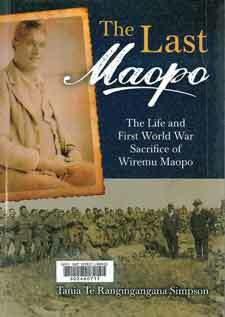 The Last Maopo also follows Phoebe’s story and reconnects the Maopo line with the author, Wiremu’s great-granddaughter. 1892: James Norbury, a shy would-be poet newly down from Oxford, finds lodging with a charming young aristocrat. Through this new friendship, he is introduced to the drawing-rooms of high society and finds love in an unexpected quarter. Then, suddenly, he vanishes without a trace. 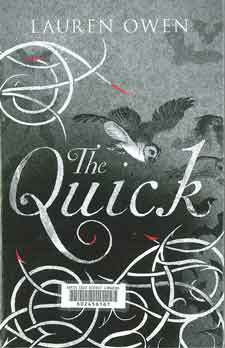 Alarmed, his sister, Charlotte, sets out from their crumbling country estate determined to find him. In the sinister, labyrinthine London that greets her, she uncovers a hidden, supernatural city populated by unforgettable characters: a female rope walker turned vigilante, a street urchin with a deadly secret, and the chilling ‘Doctor Knife.’ But the answer to her brother’s disappearance ultimately lies within the doors of the exclusive, secretive Aegolius Club, whose predatory members include the most ambitious, and most bloodthirsty, men in England. Sophie Diehl is happy toiling away as a criminal law associate at a New England law firm. One week, with all the big partners out of town, Sophie is stuck handling the initial interview for the daughter of the firm’s most important client. 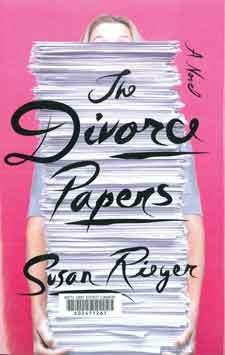 After eighteen years of marriage, Mia Meiklejohn Durkheim has just been served divorce papers in a humiliating scene at the popular local restaurant, Golightly’s. Mia is now locked and loaded to fight her eminent and ambitious husband, Dr. Daniel Durkheim, Chief of the Department of Paediatric Oncology at Mather Medical School, for custody of their ten-year-old daughter Jane. Mia burns to take him down a peg. The story is told entirely through personal correspondence, office memos, e-mails, articles, handwritten notes, and legal documents. A Good Baking Day is a treasure-trove of over 500 never-fail recipes for cakes, muffins, slices, biscuits, loaves, scones, breads, desserts and more. Ranging from special-occasion cakes to fill-the-tins reliables, some recipes are old family favourites, handed down through the generations, while others reflect modern trends in food fashion and dietary needs with sugar, dairy- and gluten-free variations. You’re guaranteed to find something to get you cracking eggs and creaming butter and sugar — to the delight of family and friends. 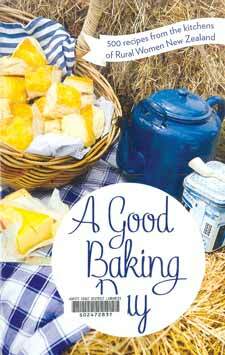 A Good Baking Day is a companion volume to A Good Spread — Recipes from the kitchens of Rural Women New Zealand and A Good Harvest — Recipes from the gardens of Rural Women New Zealand.